O ptimal use of your available space for FiLo. 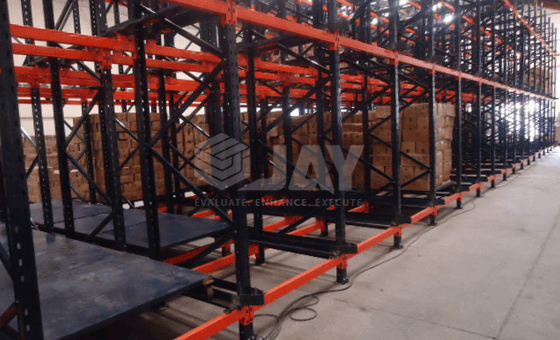 Jay Storage Solution’s Push-Back Pallet Racking are similar to Pallet live storage, except that the Pallet live storage applies for ‘First-In-First-Out’ whereas our push-back racking applies for ‘First-In-Last-Out’ applications. The pallet is placed by the forklift on the nested carts riding on inclined rails or on rollers. Each pallet is then pushed back by subsequent pallet loading, exposing the next cart. 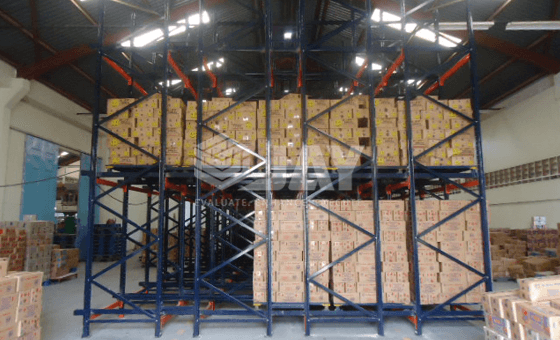 When removing product, the forklift takes out the front pallet, allowing the pallets on carts behind it to roll gently to the front of the rack. 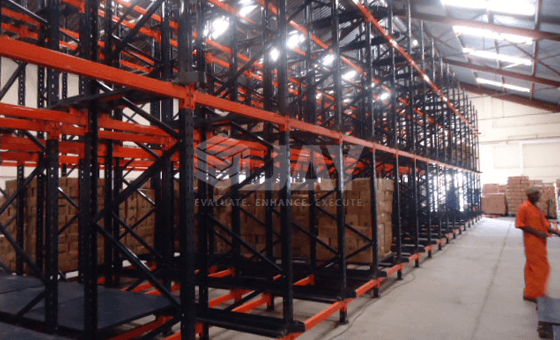 The nested carts make placement and retrieval easy. 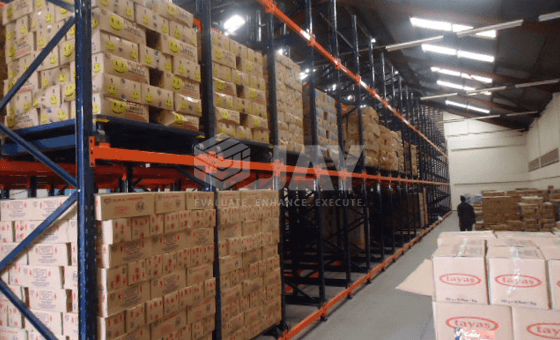 It fills the Pallet Storage cube with product, not aisles. 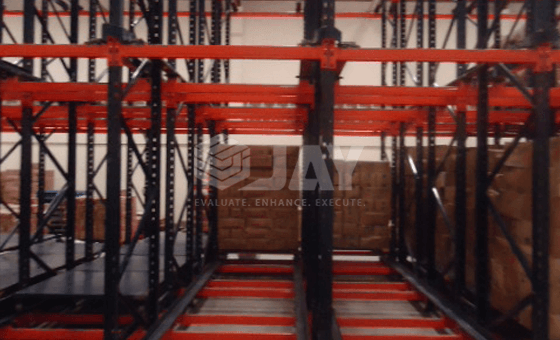 ‘Jay’ Push-Back rack system lets you store pallets 2-5 deep while retaining easy access to a variety of different SKU’s.